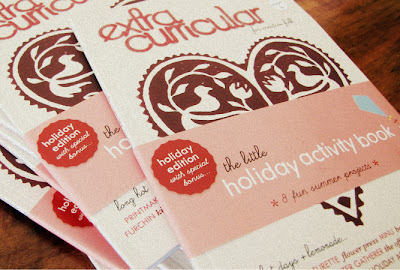 Extra Curricular, out of New Zealand, is the perfect crafty read for upcoming holiday's while you are lying on a beach, picnic rug or lazing about the house. It's the perfect size to pop into your bag too. The Haby Goddess online store is now stocking this awesome craft mag showcasing indie creative folk who craft in their spare time. A 69 page coloured mag printed on 100% recycled stock with vegetable based inks, Issue 4 covers articles on a printmaking, getting crafty in the kitchen with a recipe for summer berry jam, interviews with creative dynamos and more. 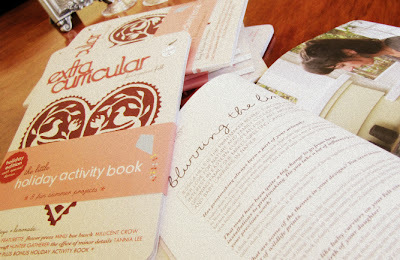 A feature of this issue is a bonus booklet ~ from some very cool bloggers ~ containing 8 fantastic projects to get creative with including making a delicious summer lemonade & fresh tomato salsa plus how to make a vintage picnic rug. Issue 4 now available here.